Some schools have already started in some parts of the US, but in other areas we still have a month to pick up our back to school supplies. What supplies do we buy other than the standard items? Gel Pens and markers which means we turn to those brands we trust. Shopping for just the right products can be hard since the selections are limited at our local stores. This is where shopping online is quick and opens up to all kinds of products. . Also, we know when we buy our school supplies we need to think of projects like art and science fair as well as time lines, charts and other creative projects. What is better than getting all your back to school supplies delivered to your door from a brand you can trust. 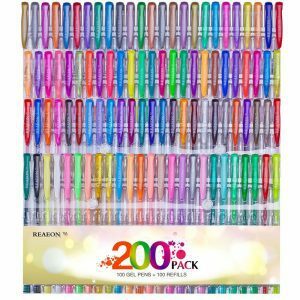 Reaeon 200 gel pens coloring set comes with 100 gel pens with 100 refills. This set comes with 28 glitter, 6 swirl, 3 classic, 18 metallic, 16 neon, 15 pastels and 14 flouro glitter. For those who do not know flouro glitter means extra sparkle. All of the pens are 0.8 -1.0 mm tips so smooth gliding across the paper. 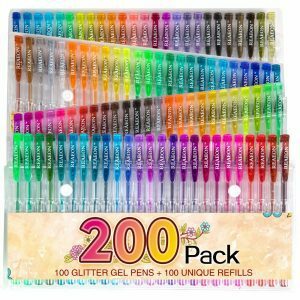 Another of their sets are the 200 gel pen set with 100 gel pens and 100 refills. These pens offer 62 glitter and 38 neon glitter. These pens also have offer 0.8-1.0 mm tips. Maybe you are looking for 160 gel pens with a 0.6-1.0 mm tip. These gel pens offer the crispest of colors. While the gel pen tip apply the colors easily without smearing. Each of the pen caps show the color of the ink so it is easy to recognize the quickly. 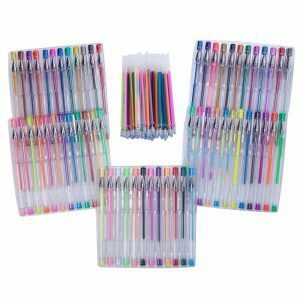 Another great product is the 120 gel pen set with 60 gel pens and 60 refills. You will find all the colors that you need with the 10 metallic, 12 pastels, 12 fluorescence, 12 glitter, 6 neon and 6 symhony colors (means rainbow). These are smooth flowing pens with 0.8-1.0 mm tips. Sometimes you need a marker that has the finest of points to draw fine lines or to add the smallest of details. Reaeon has you covered with their 18 fine liner markers with a 0.4 mm tip. While these markers are not meant to color large areas like the gel pens. These markers are for the precision details we want to add to our projects or creative designs. While we do not want to forget the colored pencils that are sold in a set of 72. Another, great feature is the wood that makes these pencils easier to sharpen. It also makes them stronger which means less breakage. While gel pens and markers are great for coloring, drawing and other projects. These pencils are great for blending, sketching and drawing. 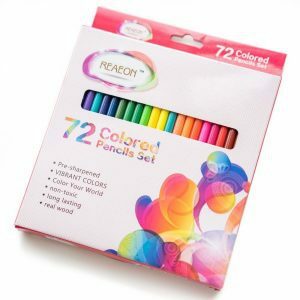 It is easy to see that the Reaeon brand has all the back to school supplies we need when it comes to gel pens, markers and colored pencils. These supplies can easily be found on Amazon and are delivered quickly. Each of these items foster creativity. The colors are vibrant and crisp making all projects effortless as well as fun to work on. We are so happy with these back to school products. That we teamed up with the Reaeon brand in offering you a chance to win these products. My college student has an art class this year. This would be very useful! I have a young artist for a daughter. She would love these. I’d do rainy day crafts with my nieces when they visit! Id like to enter..we all color here..great stress relief and good for Alzheimer’s patients and caretakers too. Vickie V…no form..so I’m hoping a comment will do for entry. 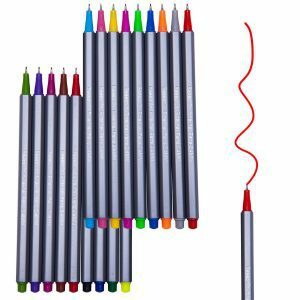 These gel ink pens would be great for my letter writing to my pen pals and to color in my adult coloring books. Good luck everyone.